Broomhill Manor is set in 18 acres of grounds with well-tended gardens and woodland which guests are welcome to stroll around and enjoy. Beyond the grounds, tracks lead to the villages of Poughill and Stratton, both of which have good pubs with welcoming landlords, about 15 minutes’ walk away. Heading west at a gentle pace for about 25 minutes, the track takes you into Bude town and the local beaches. The local lanes are quiet and suitable for circular runs or bike rides. Bude canal is a lovely area for a gentle stroll, especially on a Friday when the canal basin is host to a farmers market with a variety of freshly grown and homemade produce. 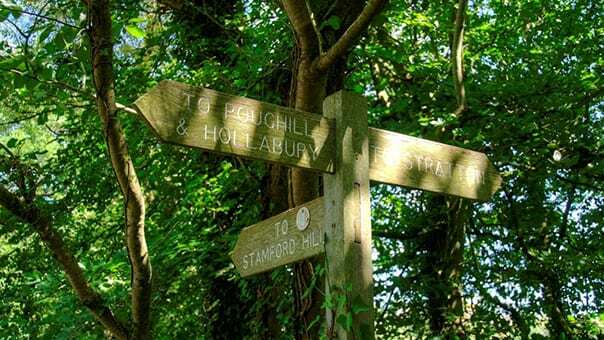 For those looking for more brisk exercise, here are some interesting local walks, several of which are circular, from 2.5 miles to 6 miles and which vary in difficulty. 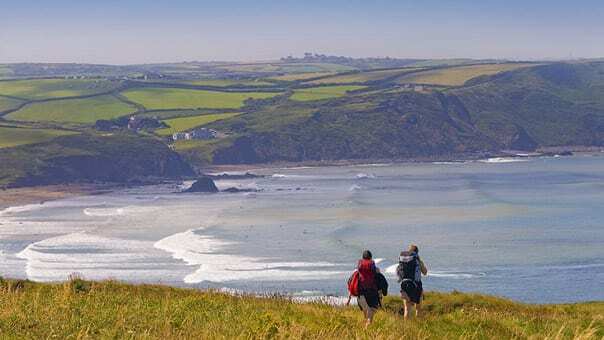 Visit the iWalk North Cornwall website to discover the circular routes you can take around Bude. For a small fee you can download a mobile app that provides you with a a “SatNav” for walking, describing when and what to do next, and giving you information about the local area as you walk around the route. You can combine a local walk with a guided geological walk on the beach & cliff path, by Dr Roger Higgs, who has an Oxford doctorate on Bude Formation rocks, to enjoy the fascinating geology exposed in the cliffs along this glorious section of the legendary South West Coastal Path. Find out more on the Geoclastica website. For keen walkers, Broomhill Manor is just 20 minutes’ walk from one of the most spectacular parts of the South West Coast Path with its stunning views and challenging terrain. The South West Coast Path features in The Lonely Planet book of Great Adventures, alongside New Zealand’s Milford Track, Chile’s Torres del Paine trek and Alaska’s Chilkoot Trail, as one of only 12 similarly awe-inspiring hikes across the globe. 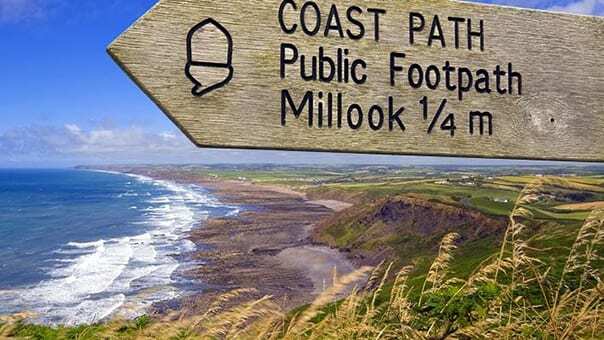 The path extends from Somerset to Dorset including a 300 mile section around the Cornish coastline which can be walked in sections following the guide at i-walk North Cornwall. Find out more about these coastal walks on the iWalk North Cornwall website. If you love the wild, open space of the moors, both Bodmin Moor and Dartmoor National Park and are within easy reach of Broomhill Manor, being within 30 minutes’ drive to either. Bodmin Moor is the smaller of the two and very suitable for walking with children. The highest point in Cornwall, Brown Willy at 420m high and Rough Tor (Rough pronounced Row – as in Cow!) are both popular climbs with spectacular views of the coast on clear days. Here are some circular walks you can take around Bodmin from a easy stroll to a more moderate moorland trek. Dartmoor’s 947 sq kms of varied landscape offers a range of walking opportunities from family strolls, along woodland or reservoir trails, including guided walks, through to heading off into remote open country. 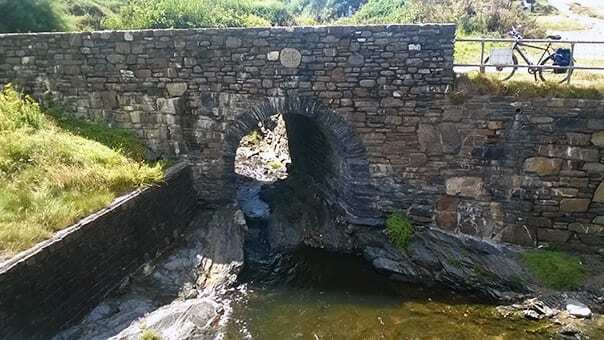 Discover more about Dartmoor‘s beauty, wildlife and cultural heritage here. Much of Bude and the local area is hilly and although the lanes are pretty quiet, you will need to be prepared to put the effort in! Here are several circular routes of between 5 and 6.5 miles heading South to Widemouth Bay, North to Northcott Mouth and inland through the villages of Stratton and Marhamchurch. 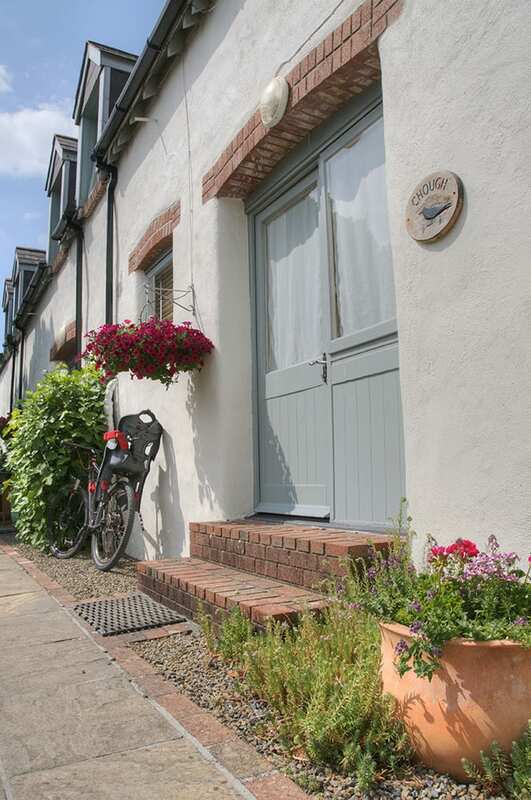 Bude is also connected on the National Cycle Network giving you direct access to the network of cycle routes across the UK. 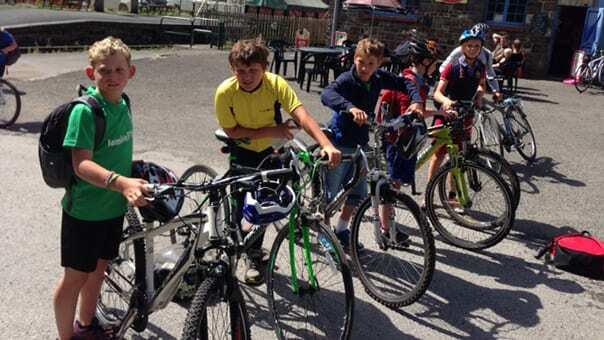 There is no need to bring a cycle with you – you can hire them locally from Bude Bike Hire. 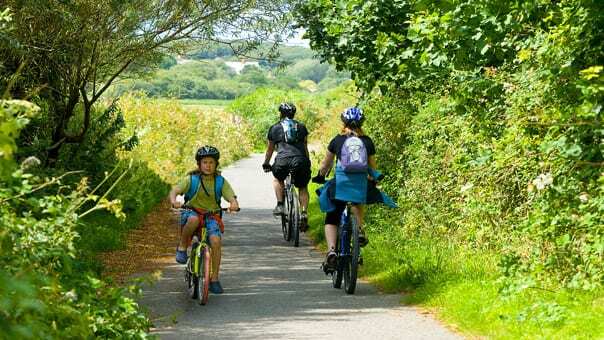 Find out more about recommended cycle routes and local bike hire in Bude. Further afield, but within easy reach, are two easier cycles paths – the Tarka trail near Bideford and the famous Camel trail, which runs from high on Bodmin Moor to Padstow. 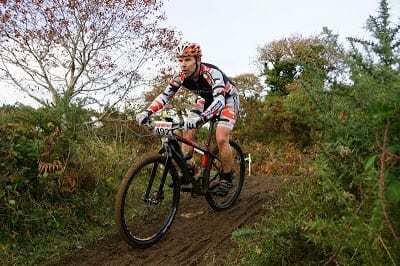 For those looking for more extreme cycling challenges, Southfork Racing is a very active Mountain Biking club going out twice a week on Wednesday evenings and Saturday mornings. Southfork Racing is a local business run by serious biking enthusiasts providing a repair service, equipment and cycling accessories for fellow enthusiasts!